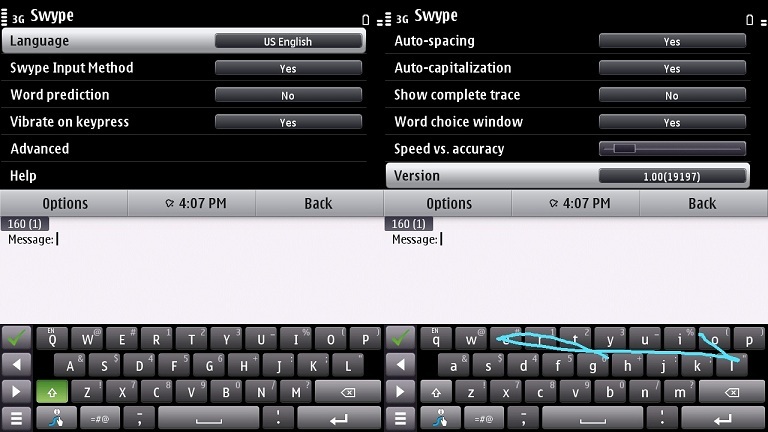 Swype provides a faster and easier way to input text on any screen. With one continuous finger or stylus motion across the keyboard, Swype ’s patented technology enables users to write faster and easier than other input methods! 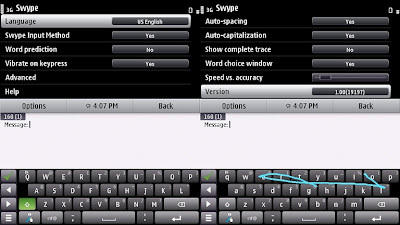 The latest version of Swype has added support for downloadable language packs, and these will be published on Ovi as they become available.